There is mention of a Dr Clutterbuck visiting Wyke School with Colonel Wavell, a school manager, in April 1887 and a Dr Pringle accompanied the Colonel, in October 1889. 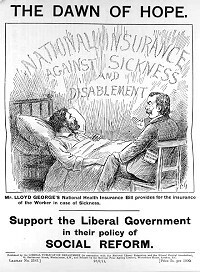 There were the usual visits to the school by Medical Officers of Health, such as Dr John Lorrimer for the Farnham Division, as early as 1891. However, little is known about Doctors until Dr Cranstoun arrived at Worplesdon and set up practice in 1922. From 1929 until 1961 his surgery was at his home at Hollow Trees, Perry Hill, Worplesdon, with him doing his rounds in those early years on a motor bike. Immediately prior to World War II, Dr Fleming of Pirbright held twice weekly surgeries at the Glaziers Lane post office but by 1939, Dr Cranstoun was the acknowledged doctor for the greater part of this community. Some residents in Wyke Avenue, Pinewood Road and Nightingale Road may have been in the care of Doctors Hamilton, Russell, Sterling, Sofian and Bartlett. In his early years Dr Cranstoun could rely on three ladies of Normandy for their nursing skills. Nan James, married to Thomas James in 1927, was the midwife and Granny Fooks for midwifery and the "laying out" of dead persons, a task that Mrs James performed in retirement. Mrs James came to Normandy in 1925, having trained in midwifery at King Edward's Hospital, Ealing. Late in the 1930s, District Nurse Dorothy Collins came to the community as both midwife and visiting school nurse, doing her rounds on a bicycle. She was a quiet, serious person living at Sandpit Cottage, Guildford Road between 1941 and 1943. There is record of her delivering baby Robin Dyson in 1943 but by 1945 she had moved to 4 Elm Hill Bungalows. It is not known when she retired but it is known that baby Joanne Levers was delivered in 1959. Obviously, Nurse Collins had had a long association with the village. Dr. Cranstoun is remembered affectionately not only as a doctor but also as an active supporter of the social life of the community, carrying solely without complaint the burden of care throughout the war. Dr John Moir, straight from the Royal Army Medical Corps, joined him in 1946 followed in 1952 by Dr Robert Harwood, who took up residence in Wyke Cottage and in 1958 by Dr Anthony Hillard of North Chase, Worplesdon. Interestingly, Dr Harwood's parents Lt-Col Leonard Austin Harwood and Fanny Harwood (also Doctors) retired in 1948 to Fernhill, Normandy Common, from their joint practice at Sloane Street, Chelsea. For a number of years Fernhill had been their weekend retreat. Mrs Harwood was believed to be the country's first woman dental surgeon, qualifying in 1912 and as a doctor in 1916. During the two world wars Mrs Harwood ran the practice while her husband served with the Army. Mrs Harwood died in 1973, having been widowed for 21 years. Although Dr Cranstoun did not retire until 1960 Hollow Trees remained the local surgery at Worplesdon and Dr Harwood maintained a surgery at Wyke Cottage. In 1961 the partners established a new surgery on the Fairlands Estate at Worplesdon and closed the surgeries at Hollow Trees and Wyke Cottage. Dr Hugh Foster joined the Practice in 1966 and Dr John Nichols in 1973. The practice continued to grow and on the death of Doctors Harwood in 1981 and Moir in 1982, Doctors David Laurence and Jonathan Norris joined the partnership in 1982 and Dr Hilary Trigg joined as the sixth partner in 1987. 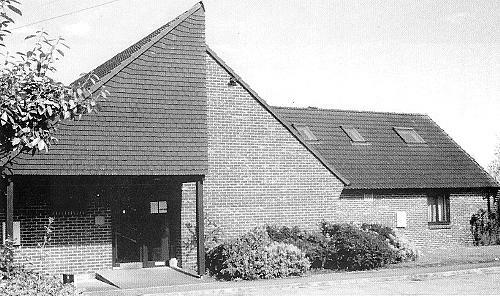 The Glaziers Lane branch surgery was opened in 1988 relieving the pressure on the Fairlands surgery. Dr Foster took early retirement in 1991 and Dr Hillard retired in 1993, being replaced respectively by Doctors Christopher Lukaszewicz and Timothy Arnold. Following the retirement of Doctor John Nichols in June 2004 and that of Doctor David Laurence in December 2005, Dr Martin S McKendry and Dr Sarah M Dobbs were appointed to The Practice as Partners in June 2004 and May 2005 respectively. Dr Alexandra Standing is a Retainer General Practitioner until April 2007.